The Salt Effect is a phrase that I first heard while photographing during an artist-in-residency in northwestern Utah, a region of great beauty and harsh conditions. It was meant as a play off the term “The Lake Effect,” which describes the odor of Great Salt Lake: The wind blows southward with a sulfur-like smell that ironically transforms a breathtaking place into one where it can be unpleasant to take a simple breath. The Salt Effect aptly describes my immersion and experience in the weather of the high desert surrounding Great Salt Lake. 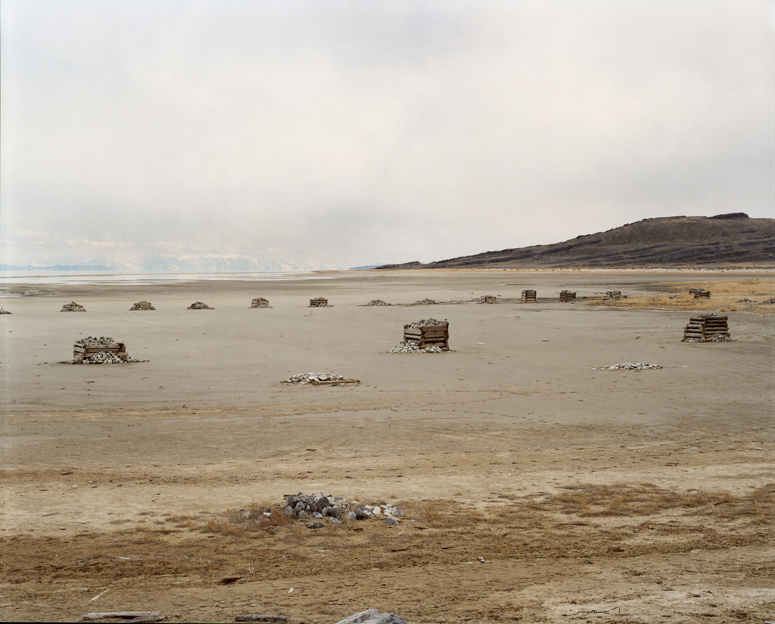 This series of photographs is my initial investigation into understanding the western landscape.